As the summer season continues it is important that tick bite prevention remains a part of your summer routine. JEFFERSON CITY, MO – To date in 2018, the Missouri Department of Health and Senior Services (DHSS) has recorded 344 cases of spotted fever rickettsioses, including Rocky Mountain spotted fever, 208 cases of ehrlichiosis, 7 cases of Lyme disease, 11 cases of tularemia and 1 case of Heartland virus. There have been no recorded cases of acute Bourbon virus. Overall, 2018 tick-borne illness case counts are slightly behind 2017 reported cases. Using tweezers, grasp tick near its mouth and as close to your skin as possible. Pull tick firmly, straight out, away from skin. Do not jerk or twist the tick. Do NOT use alcohol, matches, liquid soap or petroleum jelly to remove a tick. Wash your hands and the bite site with soap and water after the tick is removed. Apply an antiseptic to the bite site. s for a recent possible case of Bourbon virus were not indicative of acute Bourbon virus infection. Test results indicated that the individual most likely had ehrlichiosis. It is important to note that scientists and researchers are still learning how Bourbon virus affects the body and how the body responds to exposure. Due to test results, it is possible this individual had a prior infection due to Bourbon virus. “As with any emerging illness, we still have a lot to learn about Bourbon virus,” said Williams. Missouri continues to monitor tick-borne diseases and request testing through the CDC for emerging diseases such as Heartland virus and Bourbon virus when indicated. Acute Bourbon virus illness has been detected in two Missourians. Since its discovery, Bourbon virus has also been detected in tick populations in Missouri. Ongoing statewide collaborations between DHSS and the CDC, including additional testing this summer, indicate that statewide, five others in Missouri may have been infected with Bourbon virus, but to our knowledge, the infection was not associated with a known illness. Like other tick-borne diseases, not everyone who is bitten by a tick gets infected or gets sick. In addition to collaborating on testing, DHSS is working with the CDC to better understand the burden of tick-borne illness in Missouri and the United States. DHSS and the CDC will be partnering to conduct enhanced surveillance for rickettsial disease (spotted fever group), to identify hot spots for ehrlichiosis, and to improve diagnostic testing. DHSS and the CDC also plan to conduct additional surveillance of ticks in Missouri in the near future and will be releasing findings regarding the predicted prevalence of Heartland virus in Northwest Missouri and other vector-borne diseases in animals. The tick-borne disease expertise of DHSS staff in Missouri make Missouri an ideal partner for collaborations with the CDC on these issues. Missouri has also prepared and distributed health guidance for medical professionals regarding tick-borne illness in Missouri. 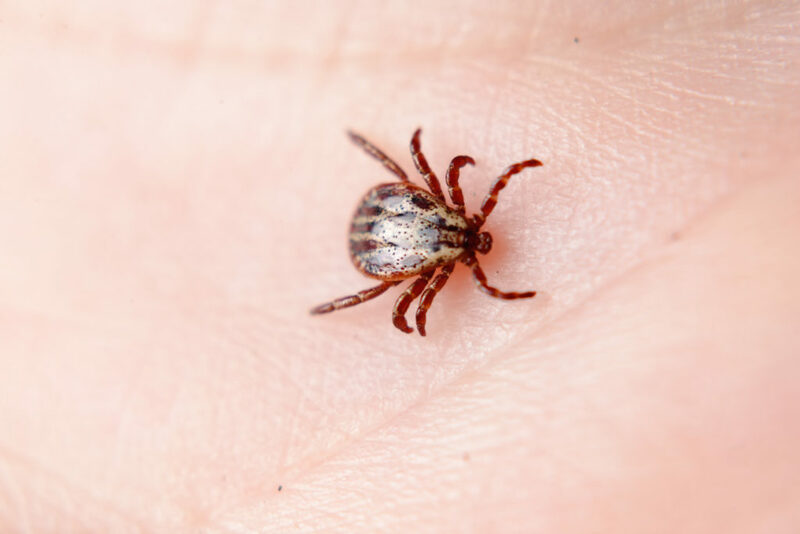 The health guidance includes information regarding the number of tick-borne illnesses in Missouri, common symptoms to look for, and information regarding testing and diagnosis. 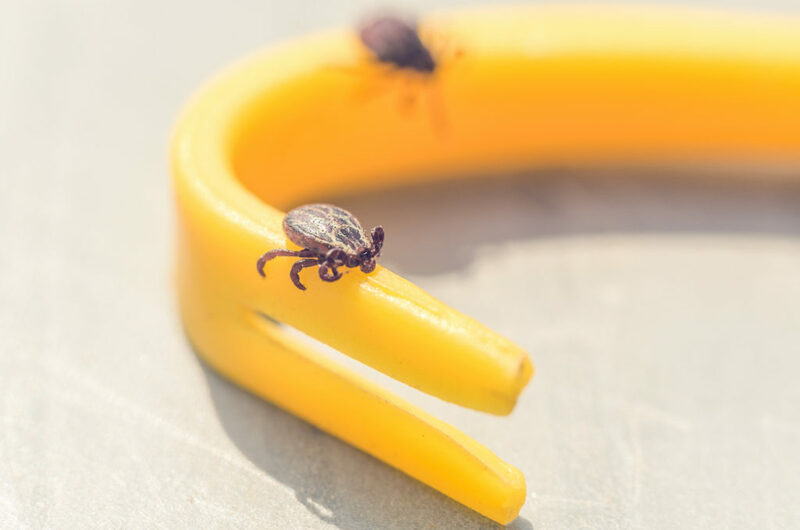 Preventing tick bites will reduce your risk of tick-borne infections such as Bourbon and Heartland viruses, Rocky Mountain spotted fever, ehrlichiosis, tularemia, and Lyme or other tick-borne diseases. Everyone can more safely enjoy the outdoors, whether at home or traveling, by using the following precautions to avoid tick bites. Take two-minutes to apply an insect repellent with a minimum of 20% DEET, picaridin, or IR3535 on exposed skin and clothing. Choose a product that lasts several hours whenever you spend time outdoors. DEET products should not be used on infants under two months of age. When possible, wear protective clothing (light colored, long sleeved shirts and pants) when outdoors to keep ticks off skin. Avoid tick infested areas including brushy areas, tall grasses, wood piles and leaf litter. When hiking, stay near the center of trails to avoid ticks. Reduce ticks around your home by keeping lawns mowed short, shrubs and trees trimmed, and remove leaf litter, wood piles, fallen branches, trash and debris from yards. People with pets should talk with their veterinarian about use of tick prevention treatments and should regularly check pets for ticks. Take two more minutes to check for ticks while outdoors and again after returning from the outdoors. If possible, change clothes and shower soon after spending time outdoors. When possible, wear light-colored, long-sleeved shirts and pants. Always check yourself, family, and friends for ticks after spending time outdoors.